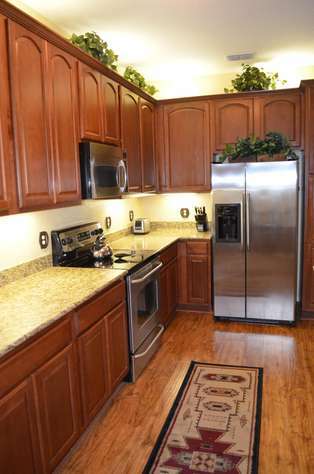 Professionally decorated 3 bedroom / 2 bathroom condo. Inspired by Colorado Rockies, this unique property will awe you with its fashionable furnishing and exquisite details. This property has 1 King(s), 1 Queen(s), 2 Twin(s), 1 Pull Out Sofa(s). A really nice apartment with everything needed down to laundry tablets and dishwasher tablets . Great welcome pack Amazing comfortable beds. Very good location for Universal . The Mountain condo was a perfect fit! We have stayed in Vista Cay for the past 3 years. This was our favorite unit so far! Having the 2 living room areas was perfect when we needed to separate the kids and adults. All the beach towels, laundry soap, dish soap, and hand soap were so helpful. The A/C worked great. Everything was clean. Wish we would have had more time to read or watch the movies available. Will definitely stay again. This was our second time to stay in one of the Vista Cay condos. If you are going to be staying in Orlando for more than a couple of days, this is the place to stay. The condo was in pristine condition and perfect for our needs. We enjoyed having plenty of room to spread out and relax while we were going back and forth to attractions. The kitchen had everything we needed to prepare our own meals, which saved a ton of money! The owners were easy to work with and quick to respond to emails. You can't go wrong here! We had a fantastic time visiting Orlando! 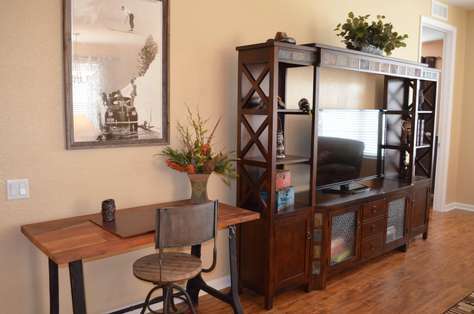 The unit is fabulous, plenty of space, beautifully furnished and maintained! We were a family of 4 who had another family join us. They live in Florida and commented that they would definitely return to the unit in the future. It has everything you need and more! Everyone slept well in the beds, kitchen well stocked, separate family room for the kids was great! Thank you to all involved for adding that unexpected luxury to our trip! The "Mountain" condo in Vista Cay was perfect in every way. The description and pictures are very accurate. I'm a clean freak and the unit was in great condition. 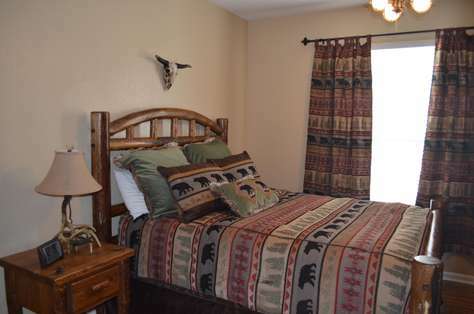 The owner/manager has done an awesome job in decorating and putting in high quality furnishings and linens. We would definitely stay in the Mountain unit again when we are in Orlando. This condo was perfect! The unit was very nicely decorated and very clean. I honestly did not want to leave. It felt like home to me. Who ever did the interior decorating gets an A+. It is also very conveniently located to all of the attractions. I will rent this unit again. The condo was a very unique and fun décor. It was very neat, clean, comfortable beds, spacious and quiet. We arrived to a nice gift basket containing a bottle of wine and some snacks. The fridge had a few cans of assorted soda and bottled water. 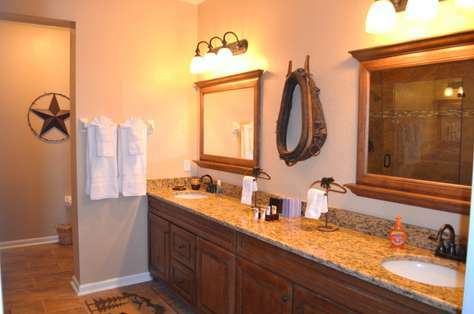 The place has a well equipped kitchen and plenty of towels. 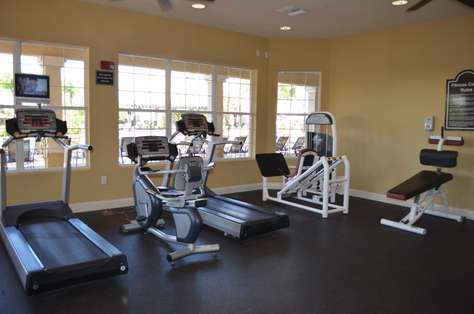 The clubhouse and pool area are a short walk or very quick drive. The pool is large and warm. The area was very clean and well kept. It is a short drive to both Sea World and Universal. There are many restaurants nearby, but we especially enjoyed NYPD Pizza which is right around the corner in the Publix shopping area. The pizza was excellent and they have a full menu, and it was reasonably priced. 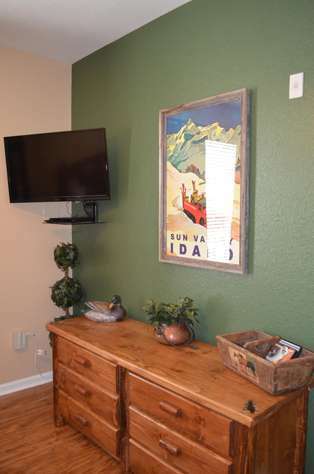 My husband and I were greeted into this very clean and well maintained rental by a gift basket of snack and wine which started our great experience. The rental itself was wonderfully decorated, included bath AND beach towels, pool toys/rafts, video games, books, DVS, toiletries, kitchen essentials, ect. The kitchen was very well stocked with two sets of dishes (16 place settings total) and additional items which made it very easy to do meals at the apartment. We were in the same building as other friends and this condo was hands down superior to what they had. 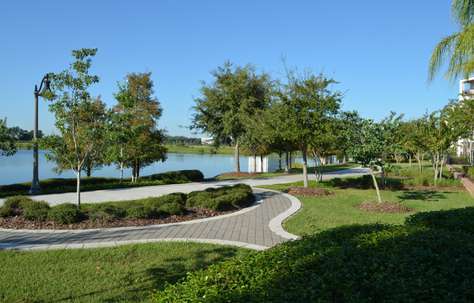 The location was wonderful as it's the center of Orlando, a quick drive to main attractions. It was an easy walk to the Publix grocery store, Subway and even the Convention center (where our event was at). The management company was easy to work with and flexible on a later check out time. The only downfall with the management company was that they do not do payment via the HomeAway app and therefore had to be managed outside of HomeAway. Some small suggestions would be to make sure all kitchen tools work (can opener did not work so we bought a new one) and knives are sharpened. Washing machine also had an issue, but they company addressed it very professionally and informed us that - although new - it was the second complaint and they would be returning it to ensure future renters did not have an issue. Overall a Five Star Rental! We just attended a convention at the Orange County Convention Center. This was a great place to stay vs staying at a hotel. The condo is huge and is decorated beautifully. Their attention to detail on everything was done very well. 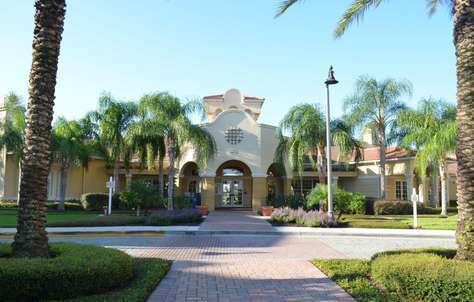 We would highly recommend this condo to anyone visiting the Orlando area. 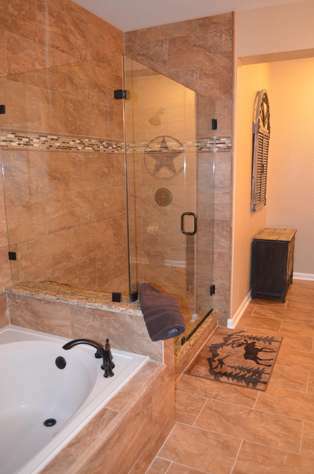 It is well situated to everything thing you need and would want to see. The clubhouse and pool area are very well kept and clean too. If you are planning a trip to Orlando you have got to try this place out. I was overwhelmed when I walked in. For the price, it was better than any hotel I have every stayed in. 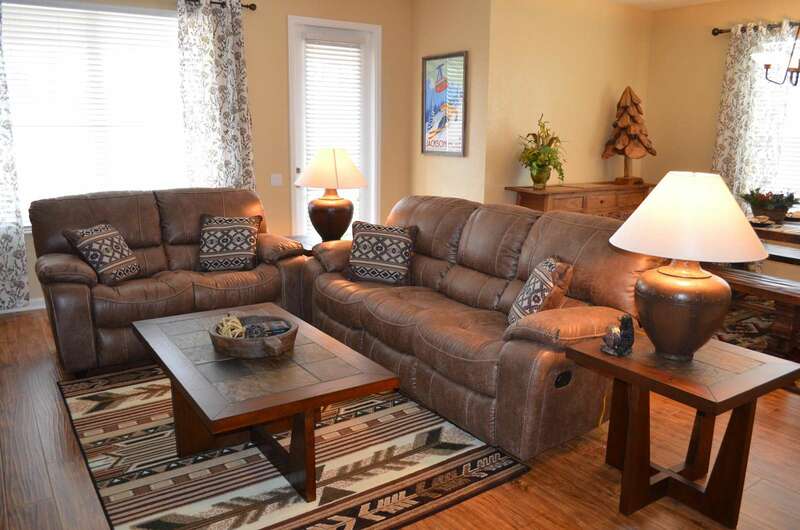 The place has plenty of room to spread out and relax. 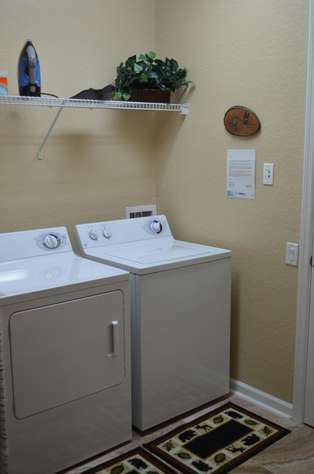 Full kitchen and laundry room was also a big bonus. I figured out after tax and all we got this place for an average of $68 per person, per night. There is no place that I have every stayed that was anywhere close to this nice for that money. I would recommend this to anyone, especially if you have more than one person with you. From now on, this is where I will stay in Orlando for sure. 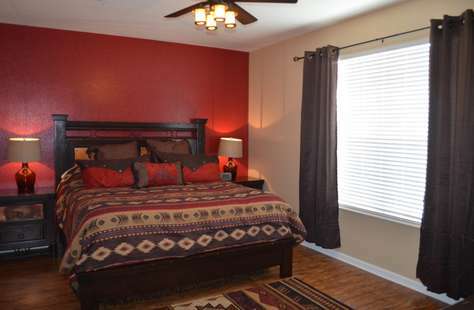 This condo was very clean, quite spacious, and decorated with top quality furnishings. The listing description was accurate, but understated just how nice this condo actually was. Everything appeared brand new. Customer service and communication was excellent. The location was perfect for our visit to Universal Parks. Also, lots of great choices for restaurants in the nearby area as well as other attractions. 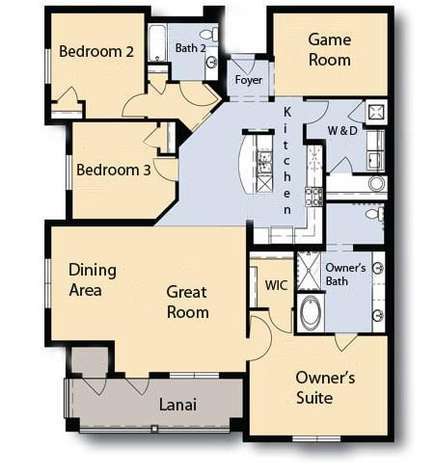 I can not say enough about this condo! It was great, we have rented homes and condos in the past, and this has to be the best. The gift basket was a nice touch, and all the little touches like someone else said to get us started on our stay. We were there 10 days, and it was perfect. 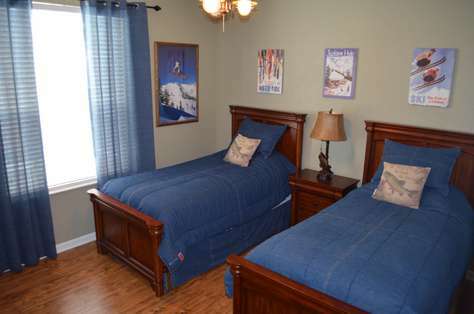 Close to the parks, to great dining, to the grocery store and drug store, and even the malls and airport. It seemed everything was within a 15 minute drive or less, which gave us much more time to relax than spending it in the car. The décor was perfect! A little unusual mountain motif in Florida...but honestly it fit our personalities perfectly. Thank you for such a wonderful property for us to enjoy our family! 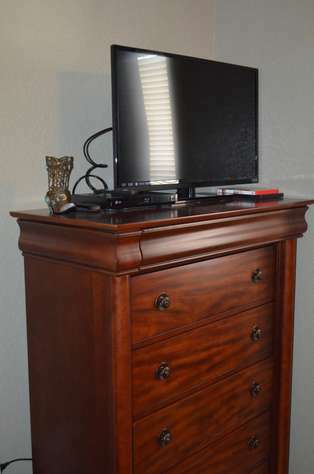 Like others have mentioned, I hate to review this unit, because, I too, am afraid someone will steal it out from underneath me! However, I have to say how absolutely beautiful and clean the unit is. The ITZ Group left us a welcome basket, and a nice little starter kit(dishwasher tabs, laundry tabs, garbage bags, etc.) to get us going. I would definitely recommend this Company and Unit to anyone, but please let me know if you plan on going so I can reserve it first! My family just returned from a week at this unit. I almost hate to review this unit because I'm afraid it'll be booked when want to use it. It is one of our all time favorites which speaks volumes about this unit. We stay at several condos and cabins throughout the year on vacation thru VRBO, including several at Vista Cay. This one was fantastic. Spacious and clean. The cleanest we have ever stayed in. This is one of their newer units and it feels like it was completely remodeled. The management company was top notch also. Competitively priced. Very friendly. Very responsive. Next time we are in Orlando we will use ITZ. I'd love to see ther Beaver Creek condo too but anyone who has stayed there knows the cost. But I bet that unit is awesome too. Thanks again and we will be back! Very clean, well appointed. Could't ask for a better deal! Everything an overpriced resort has and more, as long as you have a car to get you around. 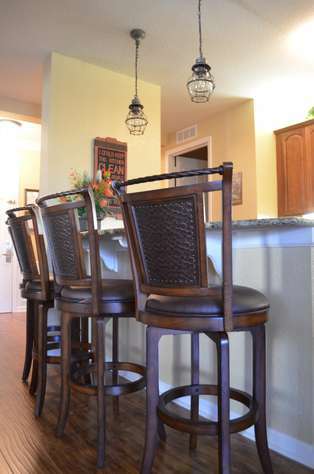 We were in Orlando for a waterski vacation and this condo suited our party of 6 perfectly. Would also be a great option for families wanting to provide some of their own meals instead of eating out for the entire trip. Hot tub and pool were great. Great option for families visiting the parks. 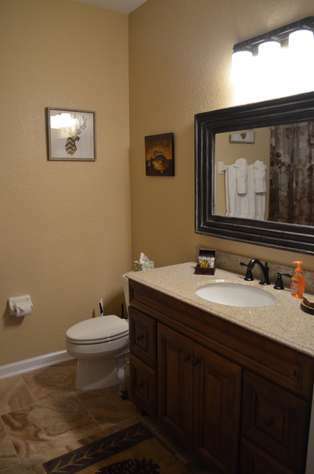 This unit is so clean and so well maintained! Its obvious it just went thru a recent renovation with the wood flooring, new furniture, modern electronics, granite counter tops, stainless steel appliances, great updated bathrooms and more. I loved the theme, decorations and furniture, and the smell of wood. 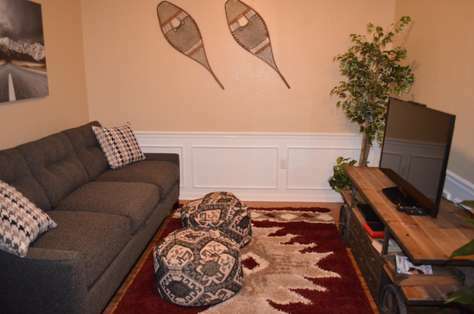 It made me feel like I was staying in a ski lodge! The management company, ITZ, was such a great help. They are a pleasure to book with. The special touches like a gift basket and drinks in the fridge, are just some of the few things that set them apart from the rest. 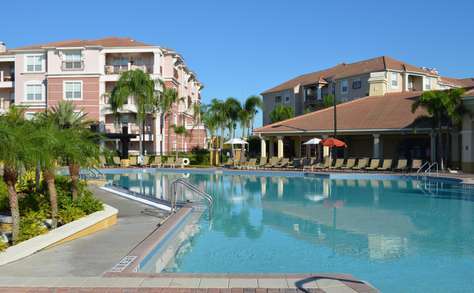 I've stayed at Vista Cay in the past, but never at such a clean and updated unit. I would highly recommend this unit to anyone visiting the attractions or the convention center. It was a 5 min ride to SeaWorld or Universal, and walking distance to the Convention Center. The Vista Cay Resort is the only place my family will stay while in Orlando. We love the ITZ properties group! They go out of their way to make each of our stays at Vista cay perfect with a personal touch! We have stayed at Vista Cay for the past 7 years and by far, the ITZ group has the most superior units in the entire complex. This is our second year we have stayed in the Mountain Unit while we were on business at the Orlando convention Center. 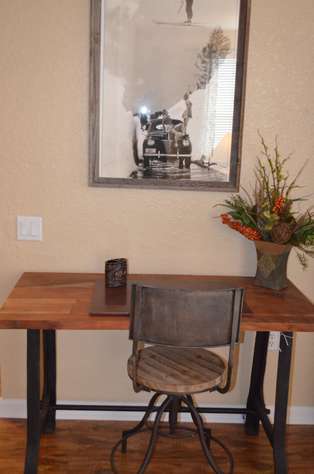 The décor and details in the unit are of the highest standards and over and above any condo or hotel room. It is truly our home away from home for us! 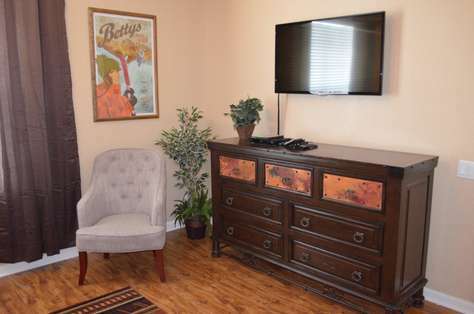 Beds are very comfortable, TVs/electronics are the latest technology, and they even personalize each room with Books and DVDs for your use there. Its always refreshing to walk into a unit with Water, refreshments and snacks awaiting after a long day of traveling as well. I love the hardwood floors throughout the unit. I left a book there and the found it and mailed it to me!! !This unit would be perfect if it had a lake or pool view. But it definitely would not stop me from recommending it to others or staying there again for the 3rd year in a row next year! Hats off to the ITZ group with interior design and top notch customer service. See you next year...unless we decide to come again earlier! 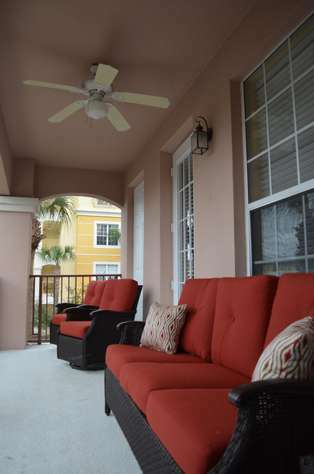 Our family booked this beautiful 3 bedroom condo during our recent Orlando trip in February. The condo had more amenities than my own home! It was so well decorated and the rooms were very large and spacious. Flat screen TV's in all the rooms and a very spacious eating area. So much better than any hotel stay. We especially liked the pool clubhouse area with a large hot tub! 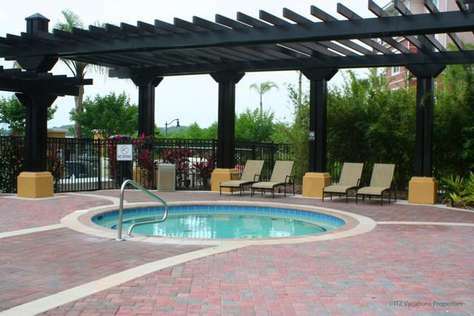 This condo is near Universal Studios, Sea World and the Orange County Convention Center. Perfect also for a quick trip down I-4 to Disney World.Everything was very clean and well kept. 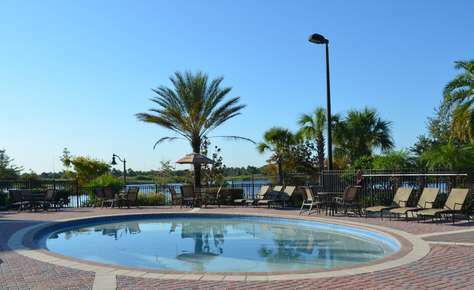 We would HIGHLY recommend this property for anyone staying in Orlando! My husband, four-year old daughter, one year old son and I recently came back from a first time visit to Orlando. I cannot say enough nice things about the whole experience. This is our first time booking a vacation condo but we just knew that with two children, a hotel would not have been comfortable at all. We sent several inquiries to different companies/owners and the response sent by ITZ was the most complete. Sheila gave us all the information we needed and made the booking process so easy. When we arrived to the unit, all of us were amazed with how spacious and clean it was. There was a basket with goodies along with drinks in the fridge. I was able to give the kids a snack and get them settled in while my husband went to the supermarket to buy groceries for the stay. The decorations and furniture, Rocky Mountain theme, were beautiful. 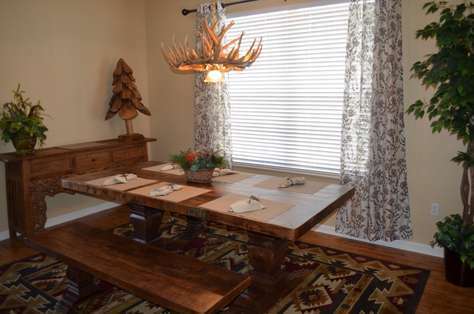 We particularly enjoyed the picnic table and antler chandelier in the dining room. We visited the parks (very close!) but spent a lot of time at the pool soaking in the sunshine. We even went to the beach for a day and that was also a hit with the kids. It was a great vacation for everyone. I loved being able to cook, do the laundry and, most importantly, feel at home with all of the conveniences offered. We are back in NYC and missing the beautiful Florida weather. My daughter has told me more than once “Thanks Mommy for taking us to Orlando. It was the best vacation ever.” We will definitely be back (but for more days next time!). Thanks Sheila and ITZ!